Requiescat, but where's the cat? Image: WP. 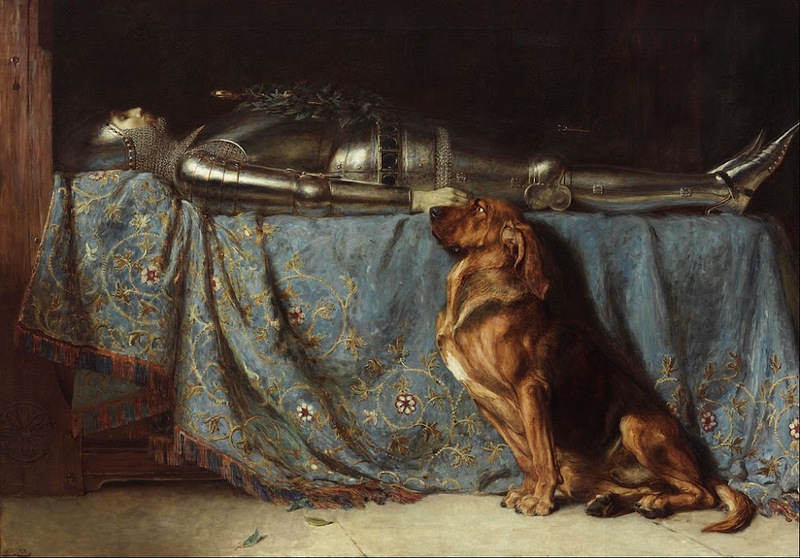 Knightly tombs in churches with, resting at their feet, dogs that vary in aspect from lamb to lion: Briton Rivière shows the foreplay, but is the dog then bestonèd by sorrow (cf. the widowed Hindoo’s fiery fate), or is it simply (or even lysergically) sacrificed? The Old Curiosity Shop -> La tienda de antigüedades / El almacén de antigüedades / El pequeño gabinete de antigüedades? Briton Rivière (1): Briton Rivière was a British artist of Huguenot descent.